Installing roof shingles is not an easy job, even more so if you have an unconventional building structure like an old home or barn with a gambrel roof. A gambrel roof is characterized by two symmetrical slopes making up each side of a structure‘s roof. This makes it seem difficult for individuals who want to fix and attach new shingles on each roof’s slope. But fret not, this article aims to provide a step by step guide on how to shingle a gambrel roof. The term gambrel originated in Europe and houses with this type of roofing were originally called curb roof or mansard roof. In the 18th century, the gambrel roof became a fixture in most American homes and architectural design. These days, gambrel roofing is mostly seen in old homes, historical buildings, and old farm barns. 1. Gather all tools needed. You will need the following tools: hammer or nail gun, step ladder, tape measure, string or any kind of measuring tool, and extension cord (if you will be using an electric nail gun). 2. Prepare all materials and supplies. You will need: the roof shingles or tiles, nails, and ridge caps. 3. Make sure that the roof has been thoroughly cleaned and all old shingles have been removed completely. 4. Also inspect the roof trusses to ensure the safety and integrity of the new roof that you will be installing. 1. Select a side of the roof where you want to start. 2. Then begin nailing down the roof shingles at the bottom portion of the roof slope in one row. The nails are usually placed on the top part of the rectangular shingle. One row of completed nailed in shingles is called a course. 3. Follow the same steps to create the second row or course. 4. When installing the shingles for the second row, allow the bottom portion of the second row shingles to overlap with the top portion of the shingles on the first row. 5. Begin the third row by cutting a roof shingle in half, then nailing it down as the first shingle of the third row. Roof shingles for gambrel type roofs are usually made out of wood, asphalt, or slate but may also be made from fiber cement or metal. Any of these materials can be easily cut in half. You can use a knife to score a portion on the shingle and then manually breaking the shingle into your desired size. 6. Continue nailing down each row of shingles while making sure you alternate the first shingle of each row with a precut shingle. Doing this step will give your gambrel roof a gradient design. 7. When you reach the end of a slope, just continue laying down a row of roof shingles on top of the prior row. Roof shingles will follow the contour of the slope over time. 8. 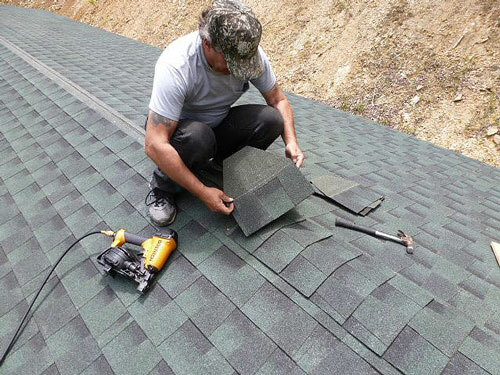 When you reach the peak of the roof, use the ridge cap on top of the previous row of shingles. 9. Repeat the steps on the other side of the roof. 1. Inspect the gambrel roof for any sign of loose shingles. Reinforce these loosely nailed shingles by nailing into them again. 2. Remedy any minor alignment issues by cutting into the affected roof shingles. 3. Allow some time for roof shingles positioned on or near slopes to gradually mimic the natural shape of the gambrel roof. 4. Admire your work. Pat yourself on the back for a successful DIY gambrel roof installation. When installing roof shingles for gambrel type roofs, the DIYer should practice beforehand. This way you will be prepared for the real task and finish it quickly. It is also a good idea to employ the help of another person as your assistant. This way, you do not have to repeatedly go up and down the ladder to gather the roof shingles. An assistant may also help you determine the alignment of the shingles without you leaving your spot on the roof. If you are doing the installation of roof shingles alone, do not forget to bring water ﻿﻿﻿﻿bottles and sunscreen. Staying long under the sun may cause heatstroke and sunburn. Most importantly, always follow safety precautions in any carpentry task. Wear harnesses and/or safety head hear since you will be staying on an elevated area. Making home improvements is now easier with the collective knowledge of carpentry and architecture mostly available online. With diligent research and practice, you can even renovate your own house. 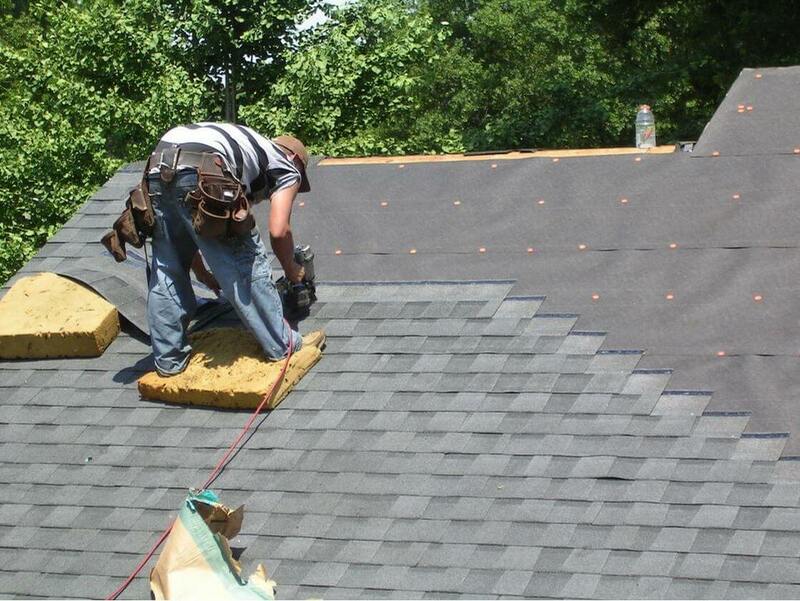 Or you can hire anyone with roof installation knowledge easily through online research. Either way, it will be to your advantage. 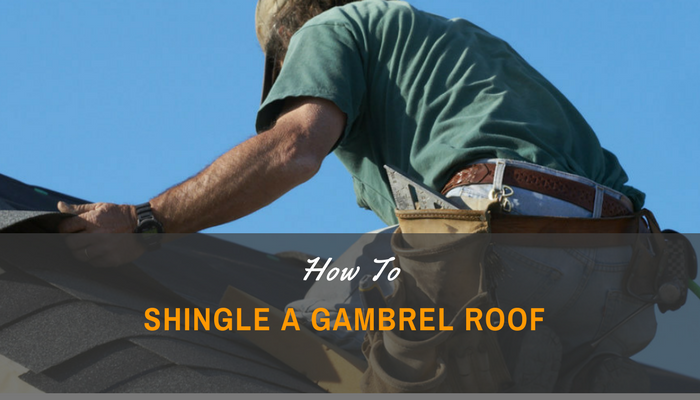 Hopefully, this short guide has helped you learn how to shingle a gambrel roof.